Presenting meaning in a language class. Presenting meaning in a language class is so dull and boring if you are doing it only by explaining the rules of the language. 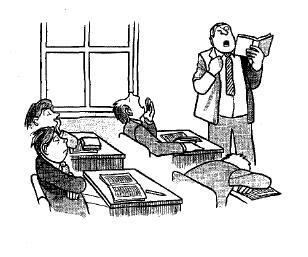 In Japan people carried out a survey about English lessons and according to survey results released at a recent research meeting of the Japan Teachers’ Union, a majority of junior high school students say that English lessons at elementary school are either boring or unhelpful. So, we can surely make it more fun and helpful for our students. 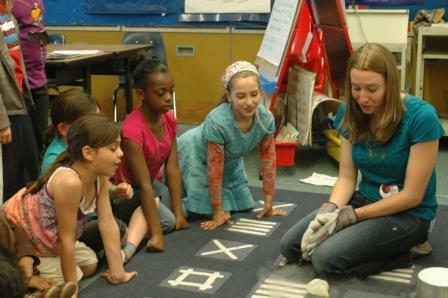 Presenting meaning through a situation in which the teacher builds a context for the target language is the one way out for the teachers who aspire enthusiastic students and a collaborative learning environment. This context needs to be clear, easy to remember and generative. By using pictures and realia: This way is my favourite. 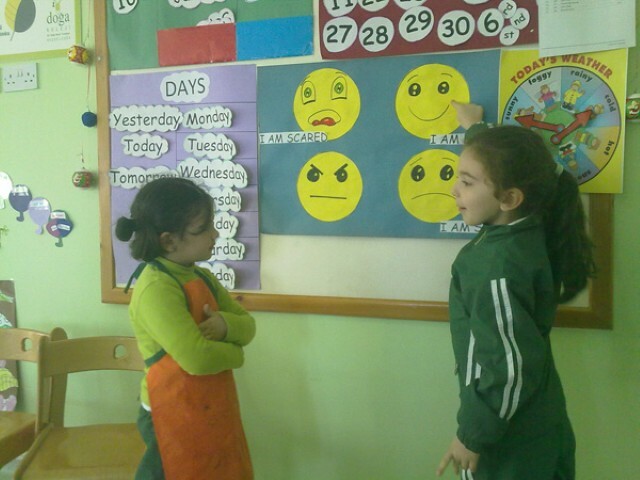 I like enhancing my lessons with pictures and sometimes with realia that either I bring to the class or my students do. Think that you teach your students some adjectives about materials and textures. Then you can bring some soft, some hard or some other different materials and textures to the class and you can play blind man’s buff with the students just to make the adjectives more memorable and fun. As for the pictures, they are the essentials of my lessons especially when I’m teaching vocabulary. Mime: In my class I call this Tarzan talk 🙂 By using this way, the teacher can mime out the scene using minimal language. Maybe you remember my post about reducing TTT and this miming can be really helpful especially if you are taking the CELTA course 🙂 Don’t forget if the teacher restricts her TTT, students may feel an obligation to carry the lesson out. 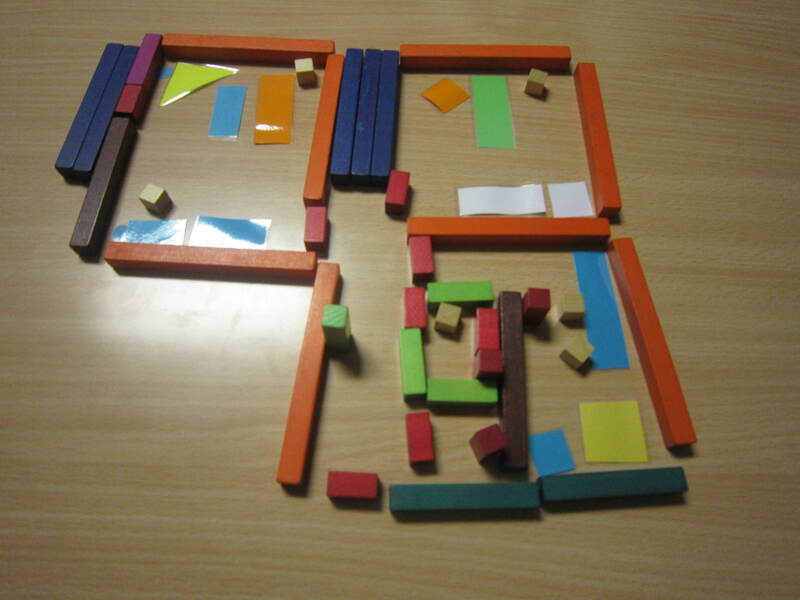 Cuisenaire Rods: Thanks to Judy-my CELTA trainer- I learned about these classroom materials. 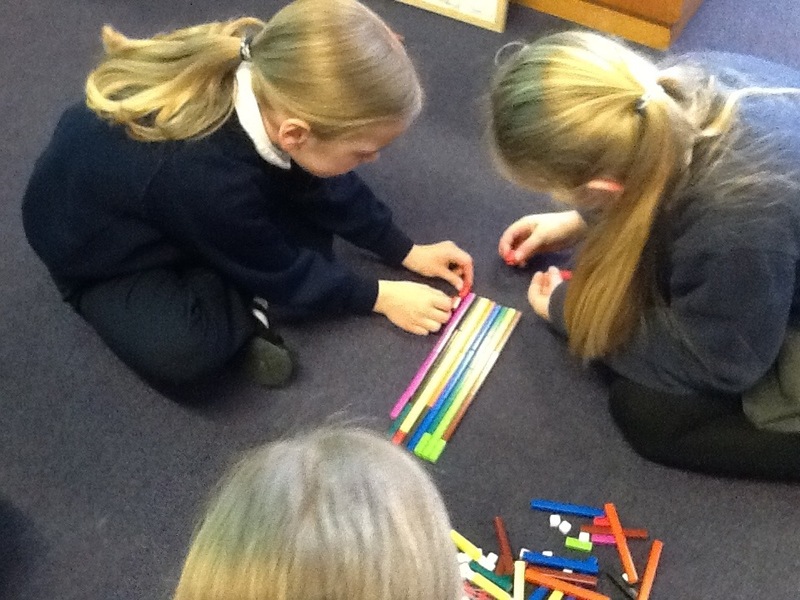 Actually we don’t have them in Turkey but after watching a model lesson carried out by Judy, I was fascinated and ordered a box of cuisenaire rods from a friend of mine in Switzerland. Now I’m using them while I’m building up of a narrative, teaching vocabulary, comparatives etc. Providing a focus on Meaning- Pronunciation and Form. Setting an activity for free practice. As you see, presenting the meaning through context is a very memorable and helpful way for our students. Bu we need to be careful while we are setting up the context because it won’t demonstrate all the contexts of the new item and if you are not a practical teacher, it will probably take time to set up.So we need to keep the context simple, clear, natural and recognisable if we want to avoid its downsides. All in all we are working on improving the learning environment in which we are teaching. Just to let you know that we’ve shortlisted this blog post for this month’s TeachingEnglish blog award and I’ll be making a post about it on today’s TeachingEnglish facebook page http://www.facebook.com/TeachingEnglish.BritishCouncil, if you’d like to check there for likes and comments. Learning a new language is not very different from learning your first language ever. 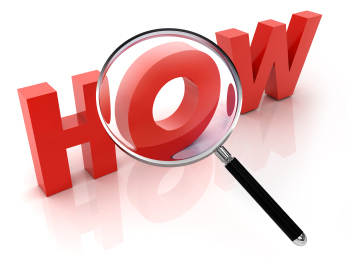 Being able to tell the difference of one thing from another is a major requirement in order to learn the language. Hence, presenting meaning in a language is of utmost advantage.